There are two main types of security officer roles, static and mobile patrols. Static security guards, despite the title of their role, are not always stationary. ‘Static’ refers to the location in which they are guarding as it doesn’t change, as opposed to mobile security officers who are often guarding a larger area and covering multiple sites. A large priority for mobile patrols is key holding and alarm response, this prevents inconvenience for companies with single or multiple buildings as well as residential properties as they can trust RISK Management to respond out of hours and deal with any situation that may have occurred. 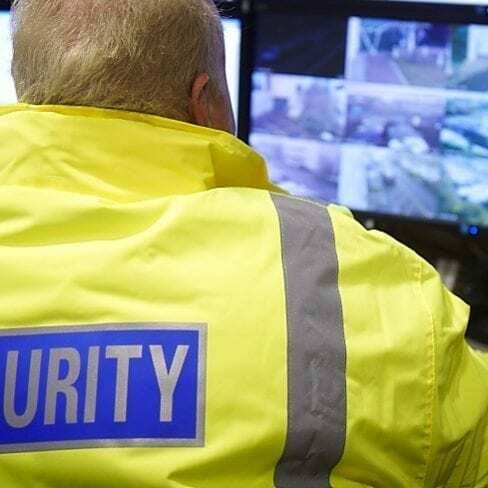 At RISK Management Security Services we offer job roles for both static and mobile security officers. 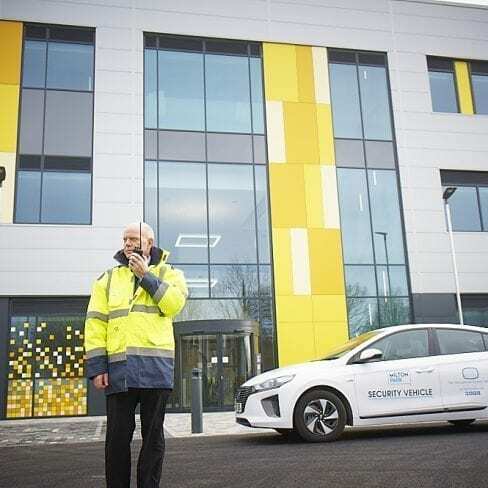 A typical static security guard job role includes a customer facing service as it often requires meeting and greeting our client’s guests at the building that is being guarded such as a corporate head office or business park. Typical duties may include controlling access to the site, responding to alarms, incident handling and other general security-related tasks. A mobile security job role with RISK Management often includes general security checks of multiple sites, performing lockdowns, key holding and emergency alarm response. This job role is perfect for an individual that is organised, professional and enjoys driving. This step is important to evaluate the candidate’s application and CV to see if it is in line with the job specification and description we have given. A telephone call is usually the next step of the process. It allows us to filter down some of the candidates and decide who is right for an interview. This is the final step of the interview process to decide which candidate is best suited for the job role. The interview is always with a Risk Management representative. Meeting with RISK Management clients in order to get to know their requirements and responsibilities for the role of a manned guard to their property. Once a candidate is chosen RISK Management must be able to identify them as a trustworthy employee via background checks and a follow up of references. An induction into the company and the RISK Management team will be carried out for the new employee to ensure they know our ethos, values and our ways of working. New employees will also be made aware of any health and safety precautions to ensure staff are safe on site. Mentoring will be ongoing with anyone’s time working for RISK Management, performance monitoring by the management team will allow employees to continually grow and improve. In order to be an ideal candidate for RISK Management, it is a requirement to have previous experience within the security industry. Experience is important to ensure the candidate is professional and capable. Maintaining a valid SIA licence is another requirement as we take pride in the fact that all of our contractors and employees are SIA approved. Written and verbal communication skills are a key factor especially when applying for the more front of house roles as a static security guard. You can view a list of our current available vacancies and make any enquiries here. Or, to contact us about our services or any other enquiries click here.